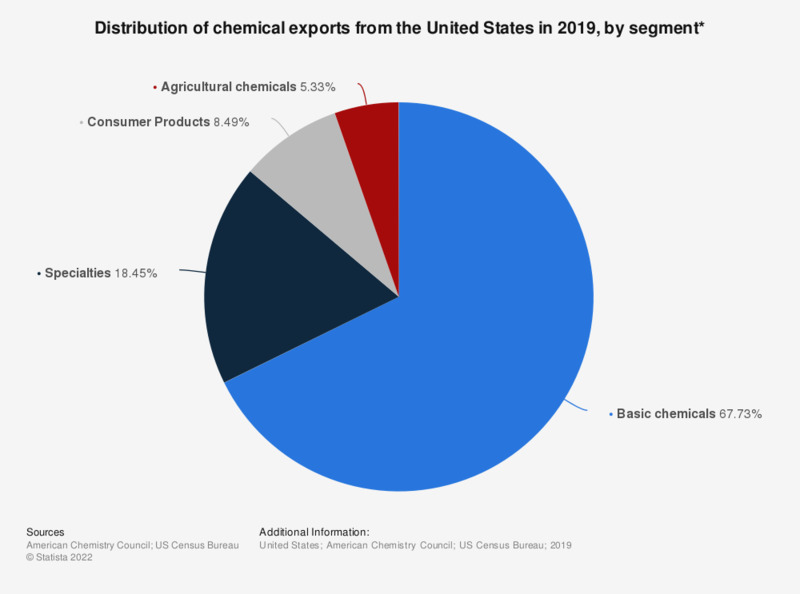 This statistic depicts the distribution of the United States' chemical exports in 2017, broken down by segment. In that year, some 67 percent of all U.S. chemical exports were from its basic chemicals segment. Thus, this was the leading segment regarding exports within the U.S. chemical industry.